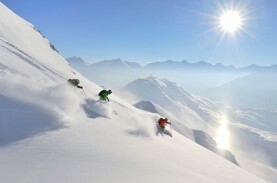 Skiing is great fun at every level from beginner to expert. Every experience brings that feeling of adrenaline and excitement, because for a beginner, just sliding down a nursery slope is a challenge in itself. 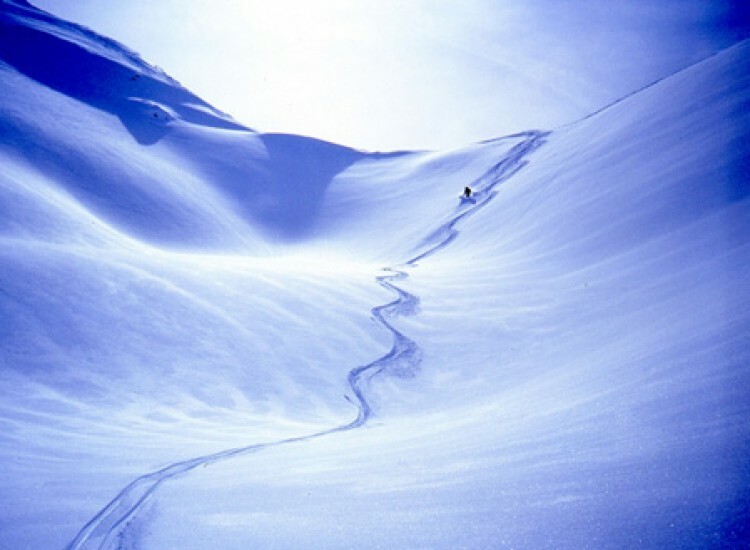 As skiers get better, they often search for new challenges and many decide they want to try and ski off the marked runs, often known as off piste or backcountry skiing. Usually these skiers have mastered all the grades of marked run, blue, red and black. Off piste skiing by its nature means anything else on the mountain, which can mean a slope much steeper than even a black run. 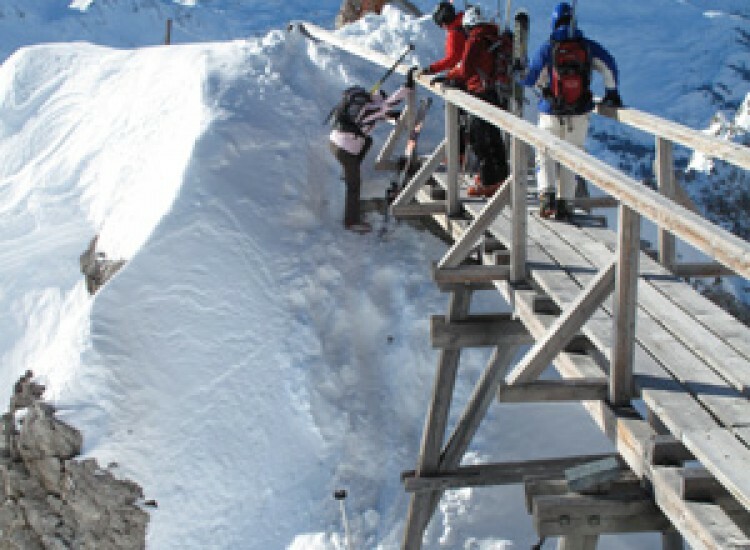 So to start skiing off piste, the skier should already be very proficient at skiing everywhere on the marked runs. The ability to perform a carved turn, ski down moguls and execute a solid pole plant is crucial, although these in itself won’t qualify you for skiing in powder snow. 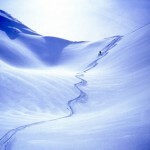 It’s a misconception to believe that as soon as you venture off piste, the snow will be deep and powdery. This is like thinking the sea will always be calm and warm. 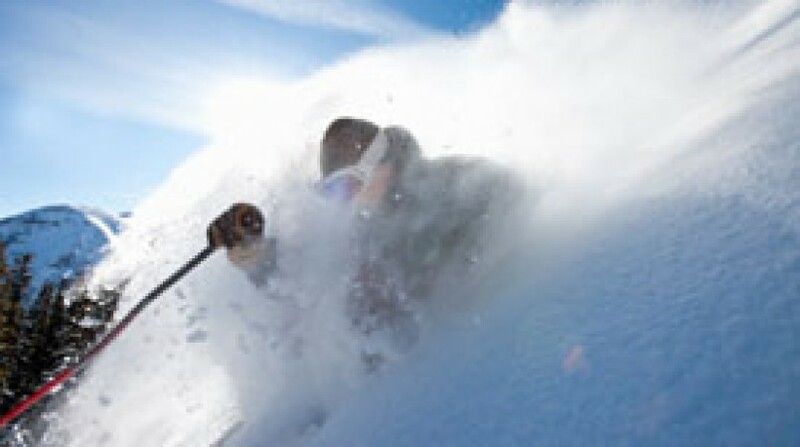 Perfect powder conditions are usually only found after a fresh snowfall, at a low temperature and with no wind. At higher altitudes, you might find powder snow several weeks after a fall, but you need to know where to look. At other times you might encounter a various array of snow conditions including crud (avoid), spring snow (easy and fun) and avalanche debris (impossible to ski over). But if you are lucky enough to wake up in the morning after three days of heavy snow, with the sun shining and all the good skiers in bed with a hangover, then get out there quick before they all wake up and track the whole thing out. My point here is that you want un-touched snow, before anyone else has skied down it. This changes the entire experience of skiing through the snow and can help to give that floating feeling many people talk about in the bars later on. Of course, the most important factor to consider when skiing off piste is the potential avalanche danger, but that’s a whole new topic which I’m not going to cover here. 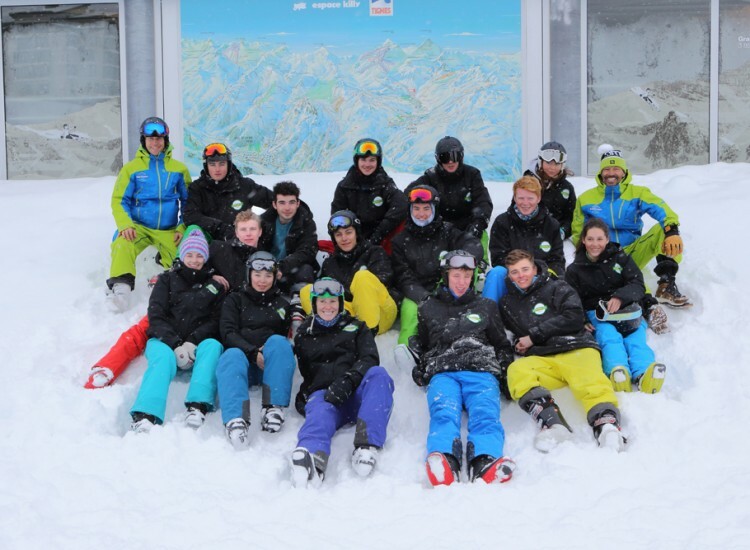 My advice is to always ski with a fully qualified mountain guide (not to be confused with a tour operator ski guide) or a ski instructor that’s qualified to take people off piste (most are not). So here we are, an open slope of virgin powder snow at your feet, the holy grail of skiing, you make two turns, fall over head first and lose one of your skis. You find it, but it takes you fifteen minutes and you struggle to get the ski back on. You are wet from all the snow that’s fallen down your back and your friends have disappeared. But it’s OK because you get going again, then fall over after the third turn. 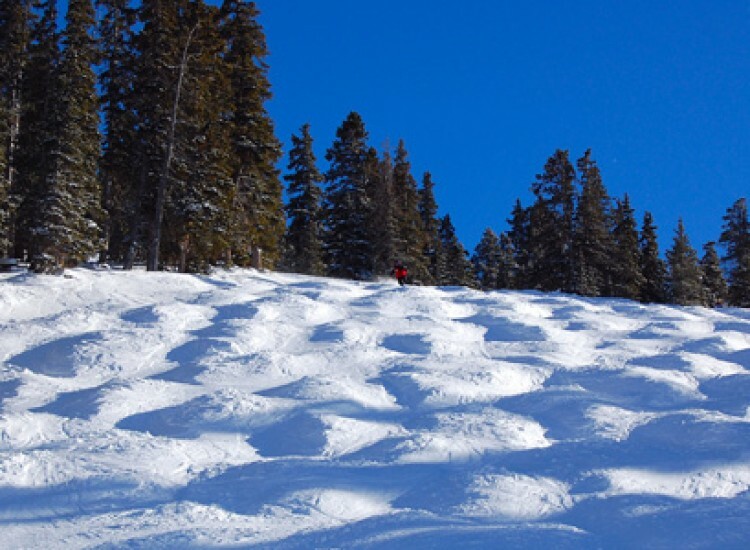 This pattern repeats itself at least 10 times before you finally reach the nearest ski run, sanctuary. 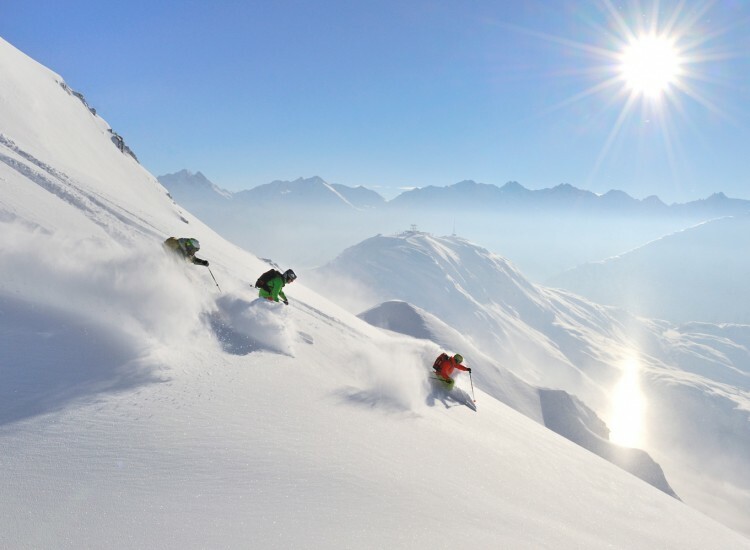 You never want to ski off piste again! 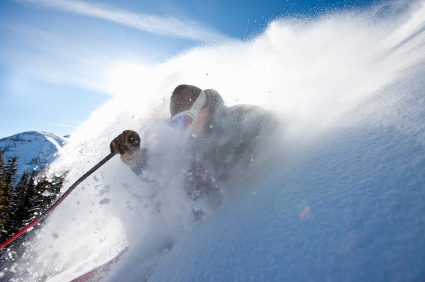 Stay centred: It’s a myth that you should always lean back when you’re skiing in powder snow. 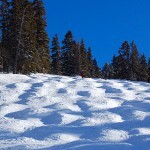 Do that and you won’t get enough control to make your turns and legs will turn to jelly in minutes. The key is stay centred on your skis, sometimes you get thrown back, occasionally you can get too far forward, but always know where you should come back to throughout your turns. Equal weight: Most skiers are taught to stand more on one ski than the other to make turns when they first learn. This creates pressure on one ski which aides your turns, it’s ingrained into every skier and fundamental to turning on piste. But do this too much in deep snow and you’ll risk plunging one ski straight down into the depths, leaving the other behind…result, a right mess down below causing massive rotation of the upper body leading to a very fast wipe out. Stay more equally weighted on both skis in powder. Create a platform: When you’ve understood point number two then you will more easily build a platform under both skis as you make your turns. By using this platform that builds throughout the turn, you’ll be able to rebound into the next one. At first, it might seem that you are being thrown off balance and you might even fall over. But get used to this feeling, skiing powder is about always being in and out of balance, that’s half the fun. Rotation and edging: In powder snow we don’t really carve a turn, but we don’t want to skid sideways too much either. Do this and snow quickly builds up against the side of the ski and literally trips you up. 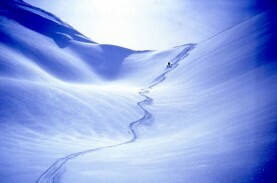 You will need to have a good combination of steering and edging to ensure the skis flow through the deep stuff. 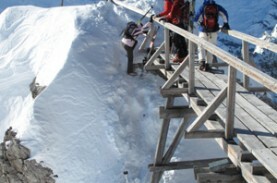 Too much rotation, skis stop and you get thrown….too much edge, no platform created. Rhythm: Because we are being thrown out of balance constantly it’s crucial we create a rhythm with our turns. The effect of starting your next turn will re-centre your balance again, and hopefully you’ll stay on your feet. A strong and confident use of your ski poles is essential to initiate the turn and create the required rhythm. 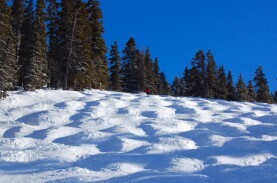 Practice short to medium radius turns on a groomed ski run until they are perfect before going off piste. OK, I’ve added an extra one….practice, practice, practice….sorry, it’s the only way. Oh, you better do a ski season because taking your annual ski vacation for the one week probably won’t provide you with the conditions required for powder skiing, unless you are lucky!